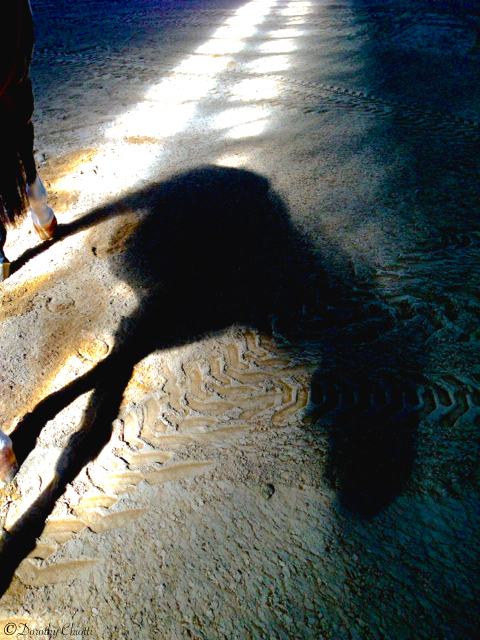 This entry was posted in Animals, Art, Equestrian, Photography, Weekly Photo Challenge and tagged Animals, art, cave painting, Dorothy Chiotti, Equestrian, footing, Horses, Light and shadow, Photography, sand, Weekly Photo Challenge. Bookmark the permalink. Nice cave painting! Photographers notice stuff others don’t. You did. Nicely done. that photo is very intriguing, love the line of lights at the top. I wondered what the shadow was until I read underneath. Very interesting shot with the colors and patterns around your Bear’s shadow, Dorothy. Yes! I was immediately reminded of cave paintings. Great eye.